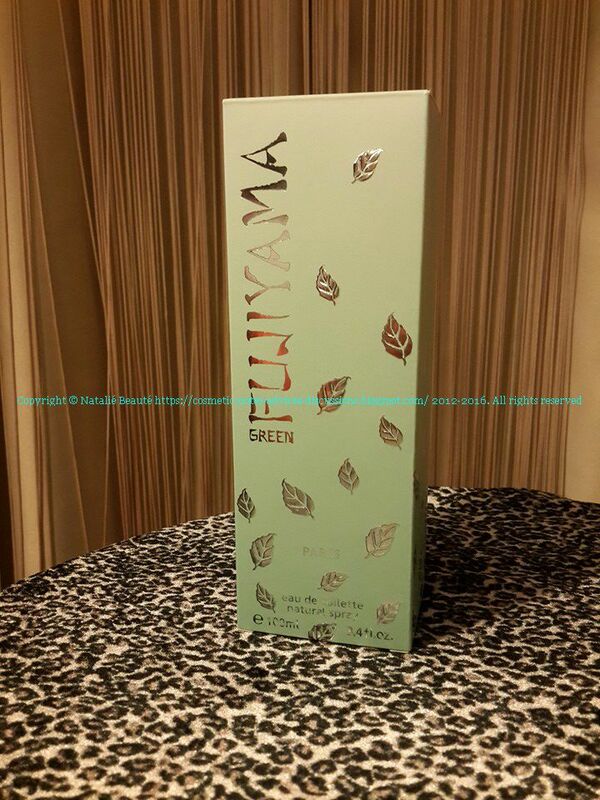 Launched in 2001, FUJIYAMA is one of the best and the calmest Green Tea scents ever! Haunting emanation of clearness, comfort, comfydent, purity! 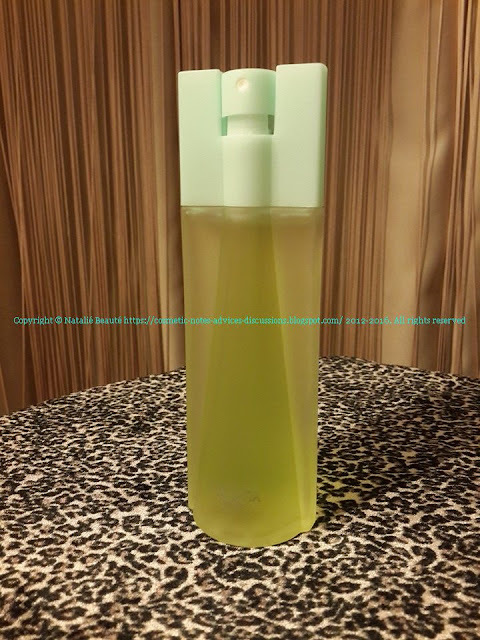 Green Tea elixir, spiced with drops of Bergamot, and you are in the middle of blooming flower garden after rain, where there are fresh green Mint, Thyme, Bay leaves, scents of sweet woods and florals - Lily-of-the-valley, Cyclamen, and somewhere next to you, there is big crystal bowl, full with slices of fresh Lemon and Mandarin fruits. 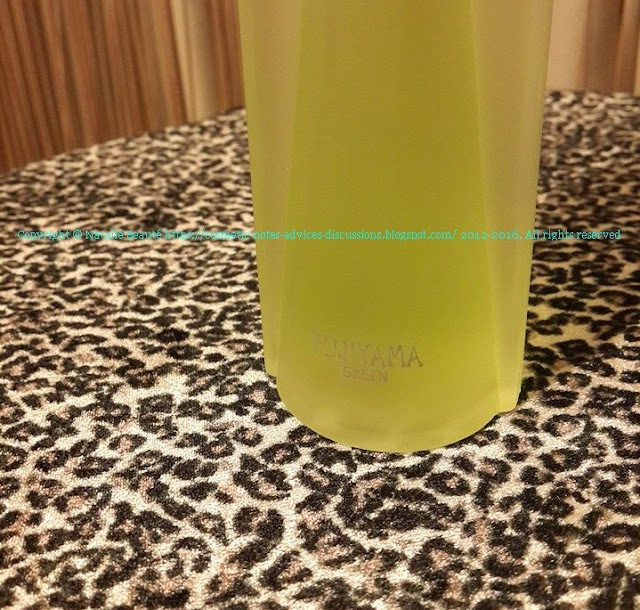 At the beginning it opens very powerfully, almost sharp with very bright flash of Bergamot and little Lemon, which are gradually giving place to the Green Tea tone. 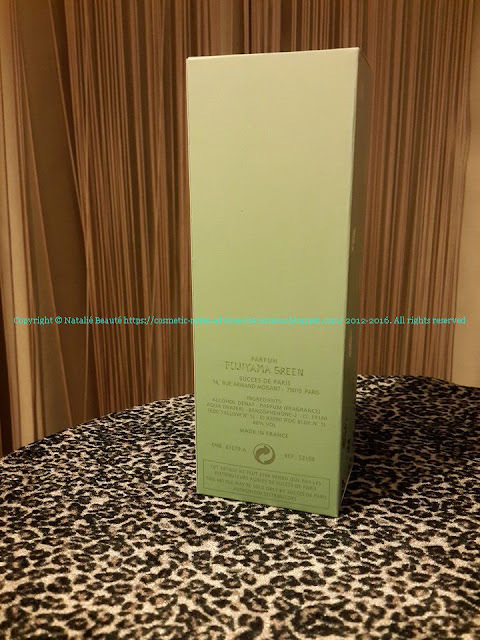 The next stage - the Green Tea residues to clean soft Green Tea scent, together with Mint, but slightly supported from Lily of the valley, and almost invisibly accompanied by Cyclamen (or small garden bouquet from similar to the Cyclamen scent, flowers). So soft, so fresh, so green! 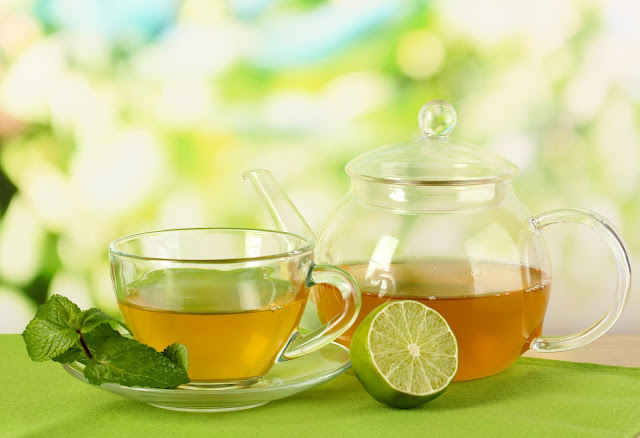 Herbal, not tea, mixed with sugar, but pure herbal Green Tea! The Green Tea tone stays even in the base. 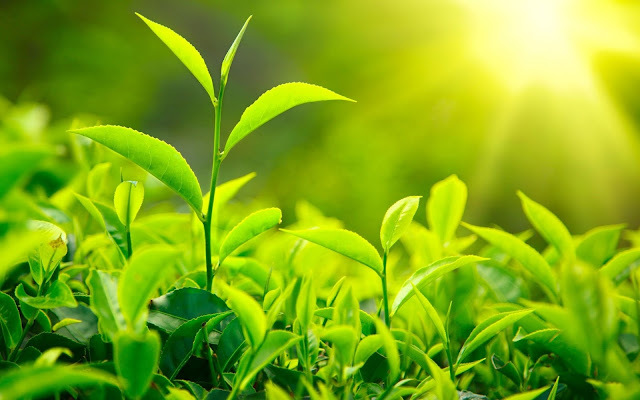 It's more like tandem between Green Tea and Mint - very calm and the same moment uplifting! 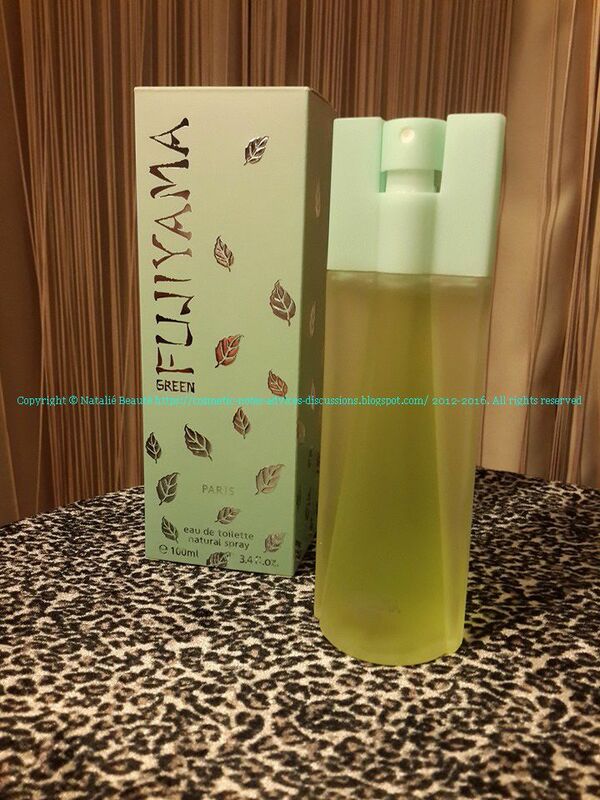 FUJIYAMA is very similar to GREEN TEA by Elizabeth Arden, but it's one tone calmer and softer. It's also little similar to THE VERT by Yves Rocher, but the last is more crystal-watery tea scent. 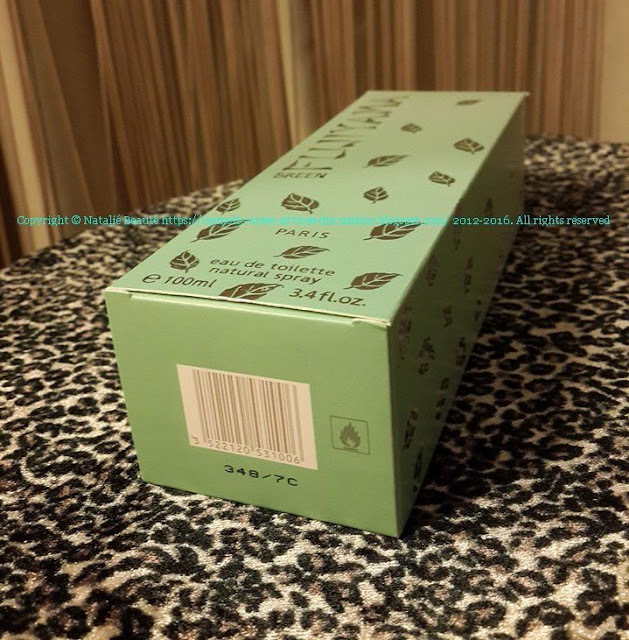 The perfume comes in paper box, sealed with nylon. The bottle has the usual for Fujiyama perfumes shape, the glass is colorless, matte, 100 ml. 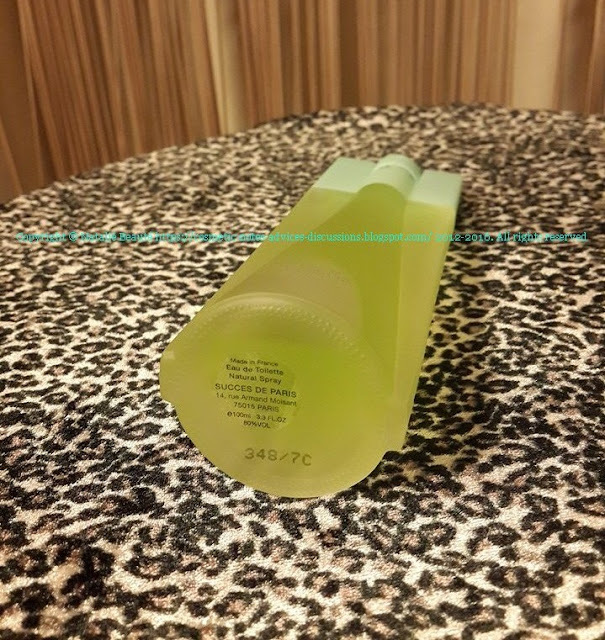 EDT, the color of the perfume is bright green-lemon shade. FUJIYAMA is one of the best Green Tea scents, which you can find on the market! You can wear it day time, but also night time during Spring and Summer seasons. 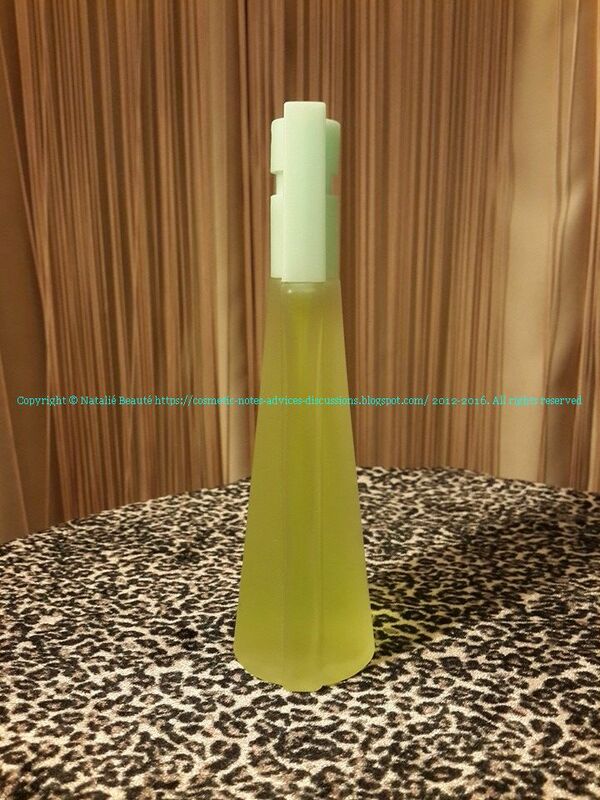 It changes its power with the environmental temperature.